I believe I first heard about Chris Sherland on the Six String Bliss guitar podcast. 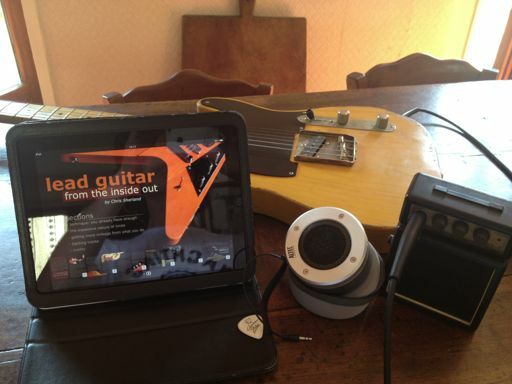 I read his book, Lead Guitar From The Inside Out and spent quite a lot of time with my iPad to get the most out of it. Here's an interview I did with Chris. I really enjoyed reading this e-book with my guitar in hands. It's totally worth the price of 9,99€ (iTunes link) .